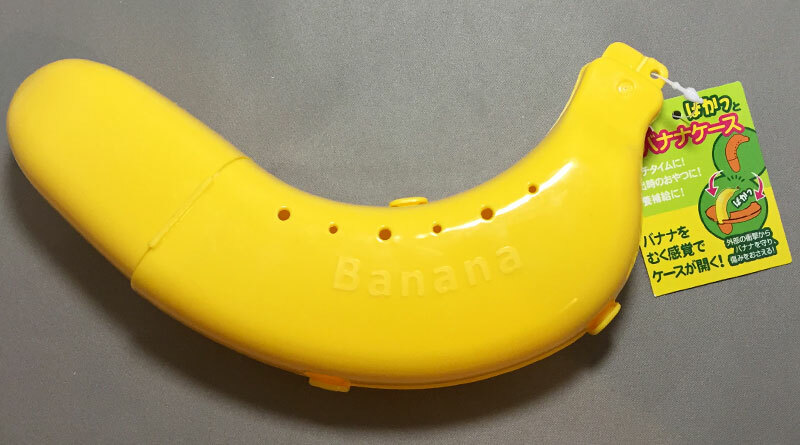 This Flip open banana case purchased from Can★Do can protect a banana from the bashing and bruising when it’s being carried in a lunch box or in a carry bag. 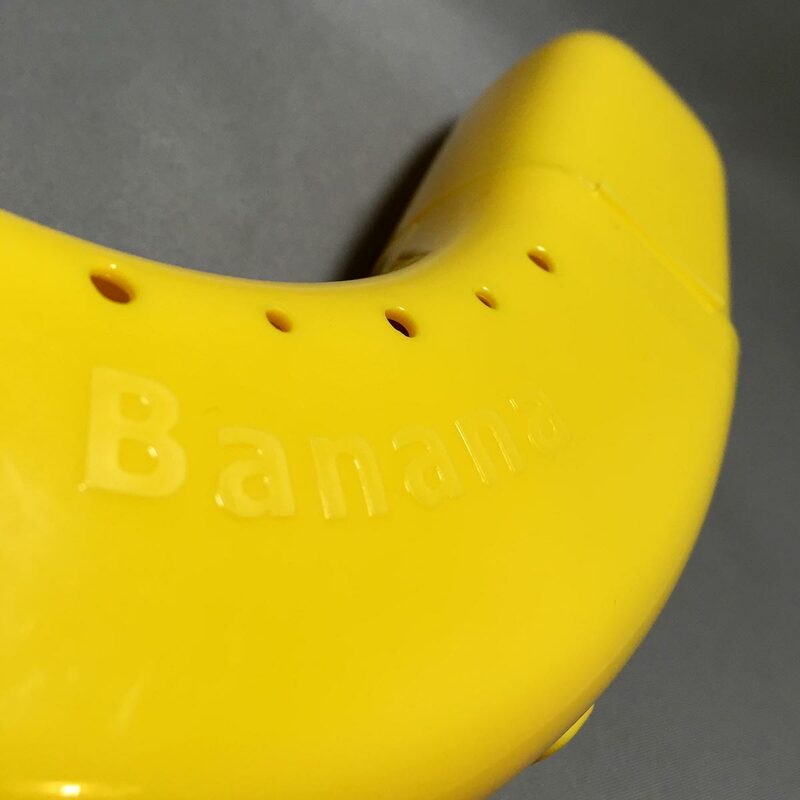 It’s the perfect item for banana lovers who wants to protect their banana when they travel or commute to work. The case split open and flips back on both sides, just like peeling a banana! 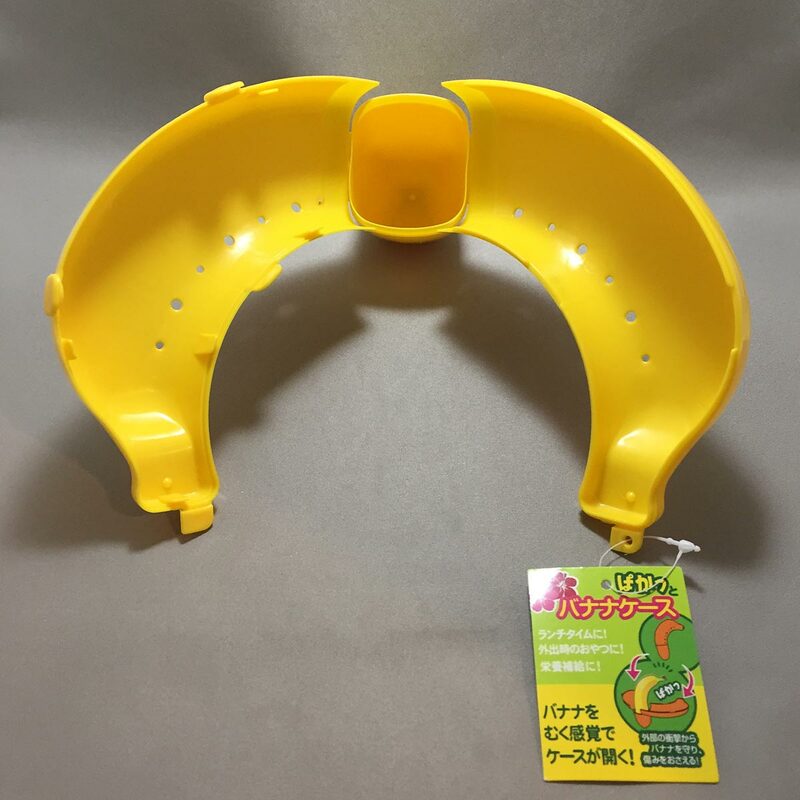 There are small holes on both sides to keep the banana fresh. 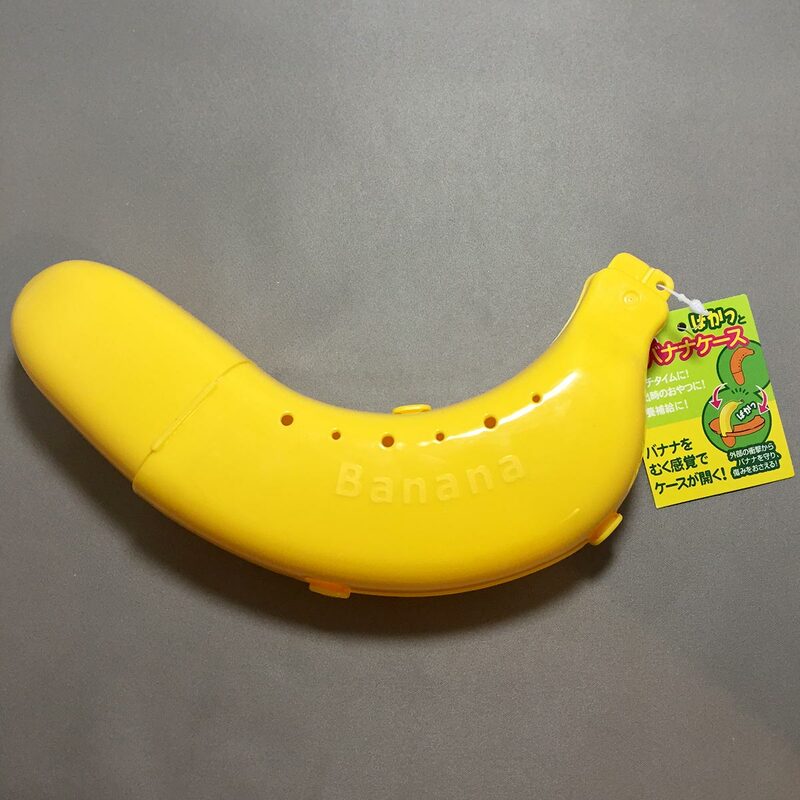 The case also has the text ‘Banana’ on both sides (in case you forget what was inside). – Do not store in refrigerator. 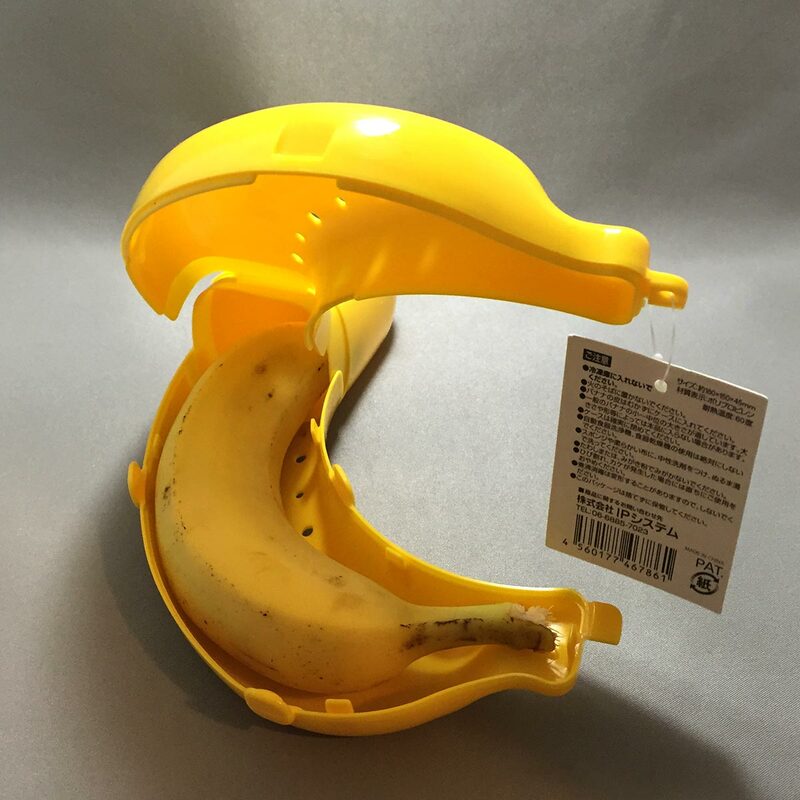 – Use the case with the banana unpeeled. 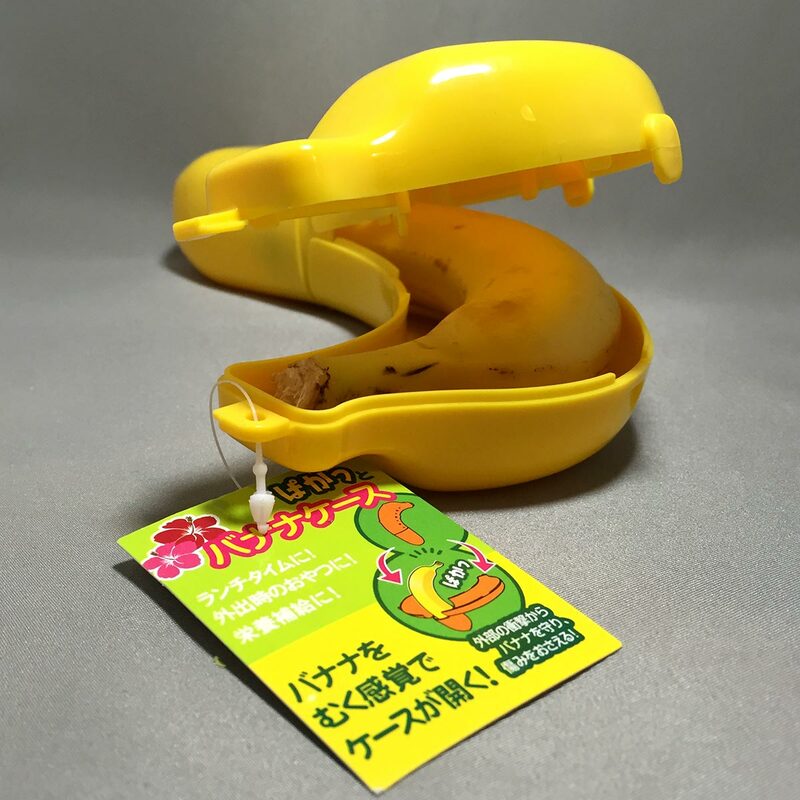 – Fits most small to medium sized bananas. 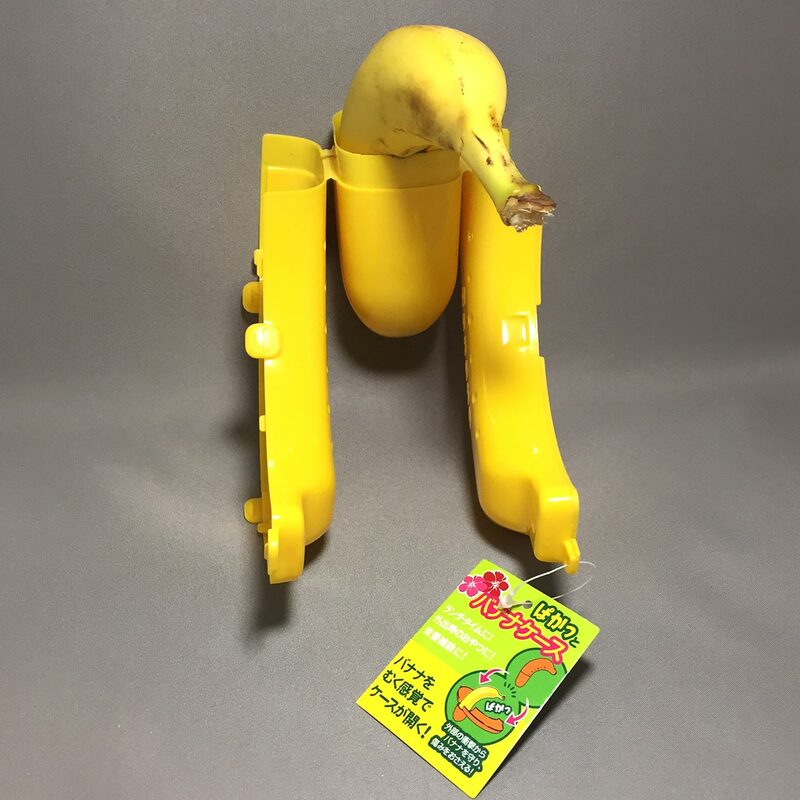 Depending on size and shape, some bananas may not fit into the case. 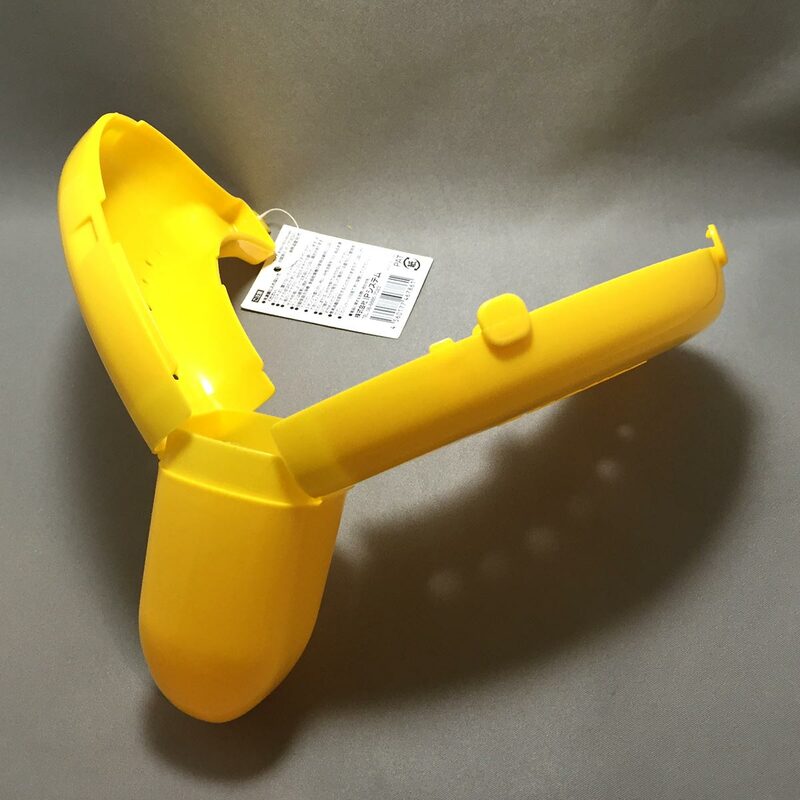 – Ensure the case is closed properly. – To clean, use a sponge or soft cloth with mild detergent and warm water. 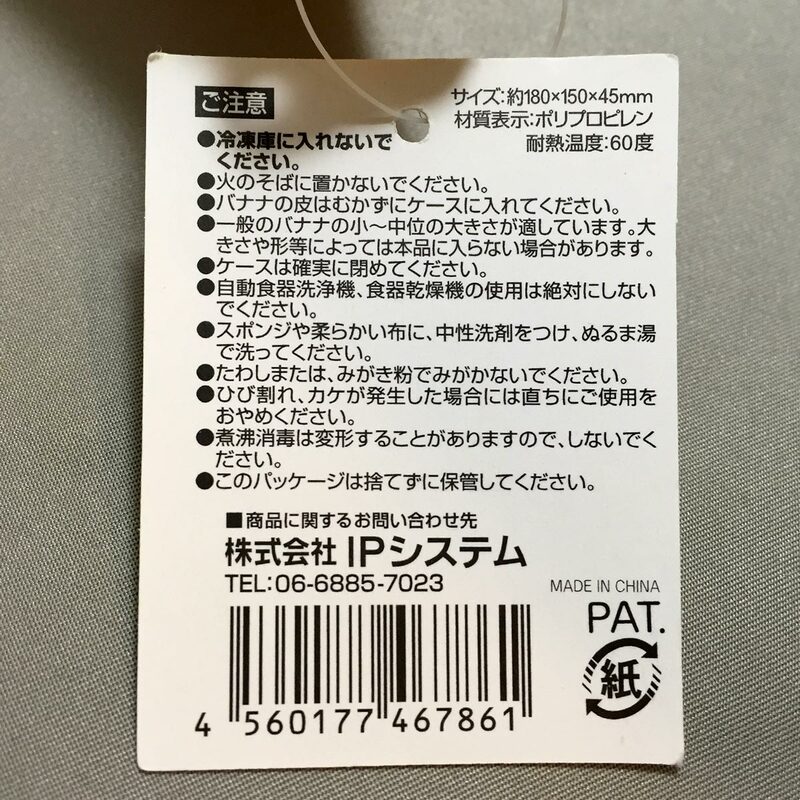 – Do not use scourer or scouring powder on the case. – Do not use if there are cracks or damage to the case. 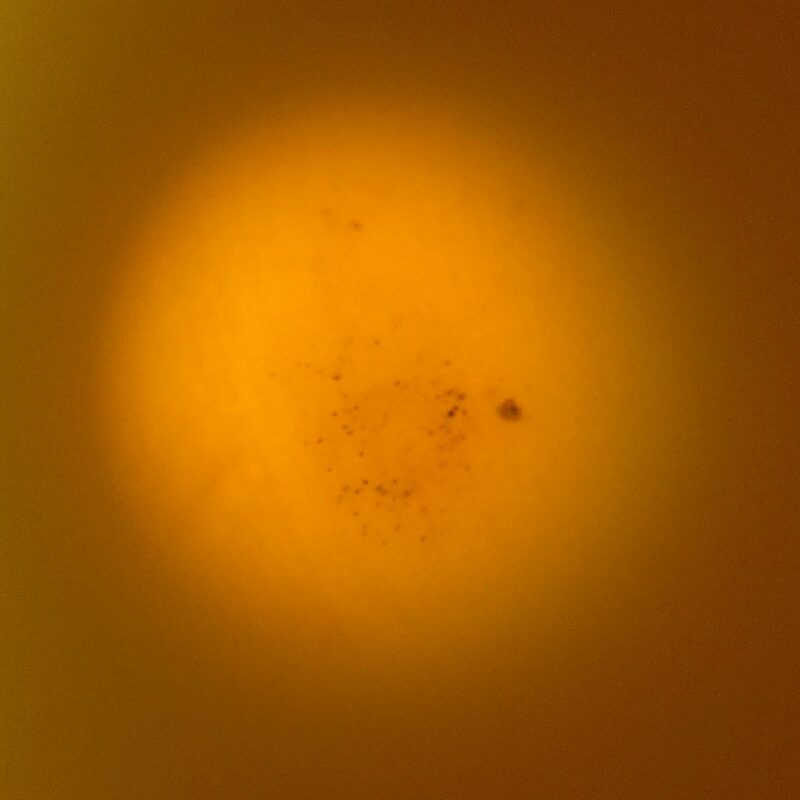 – Do not sterilize with boiling water as it may cause deformation. I didn’t take this product seriously until I read the reviews and then tried it myself. 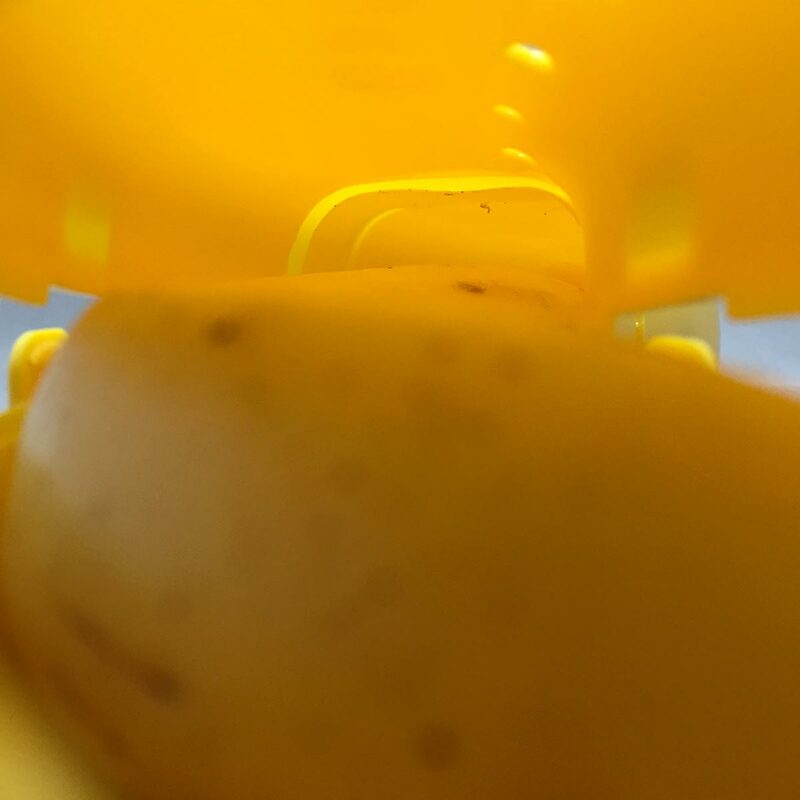 My minion son loves bananas, so when we go out, we either take small cut up pieces of banana in a sealed container, or we just grab a banana when we don’t have time to prepare it. When it’s just the banana, we find that the banana is squished up from being carried in the bag, making it hard to feed to our son. If we’re in a rush (as most parents are), we can place a banana in the case, and carry it in the bag. The case itself is fairly sturdy, flips open and snaps shut easily. We just need to make sure we buy medium sized bananas that fit the case. 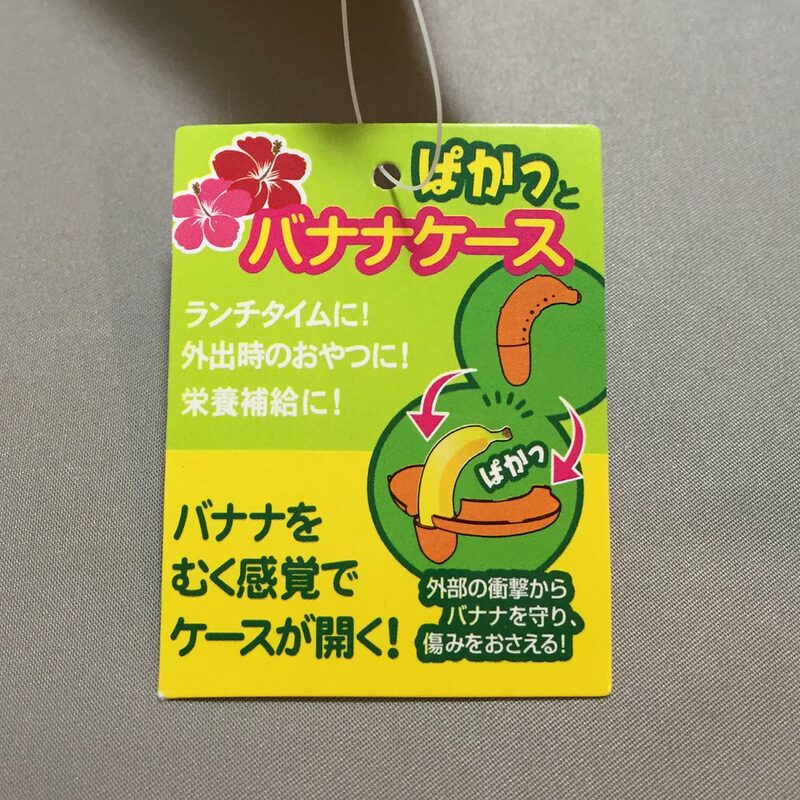 This is a good idea product to go bananas over!